Rosh Hashanah (literally "head [of] the year") is the Jewish New Year. The Biblical name for this holiday is called Yom Teruah or the Feast of Trumpets, not Rosh Hashanah. It is a two-day celebration, which begins this year on September 24th at sundown. 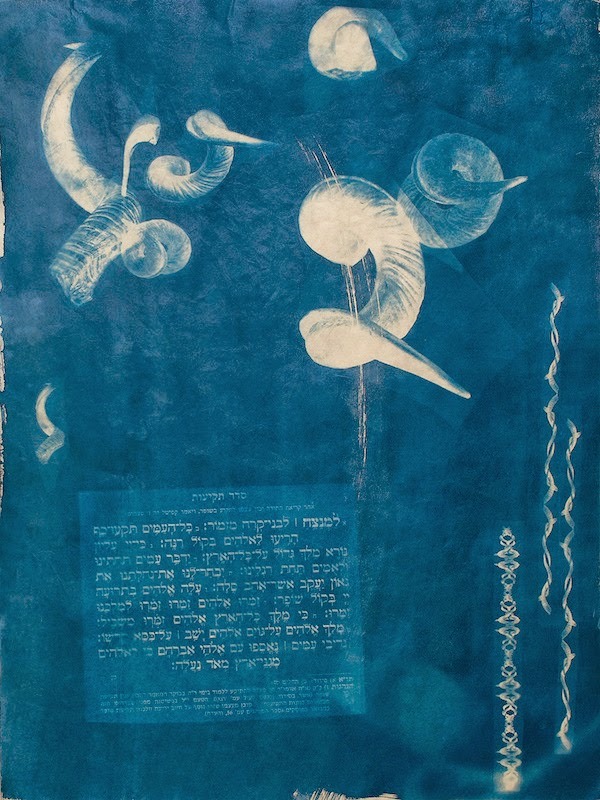 The shofar is traditionally blown each morning for the entire month of Elul, the month preceding Rosh Hashanah. The sound of the shofar is intended to awaken the listeners from their "slumbers" and alert them to the coming judgment. The total number of blasts on Rosh Hashanah is 100. 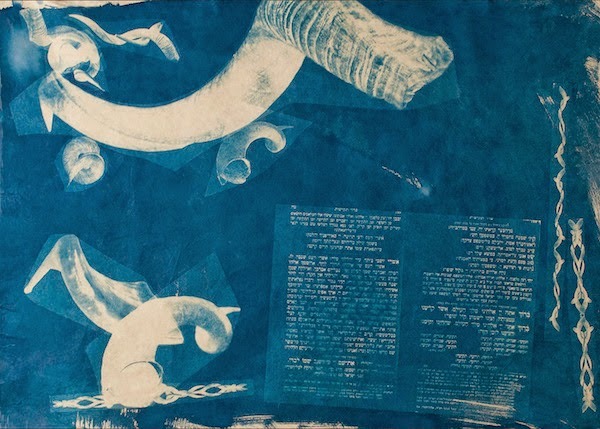 Leah Caroline's art incorporates the shofar and religious texts.